Is your loved one having trouble with everyday chores? Are routine tasks like bathing, dressing and personal hygiene becoming difficult? Do you find your loved one withdrawing from social activities due to age-related physical limitations? Feeling overwhelmed with trying to provide optimum, round-the-clock care for your aging loved one? Want your loved one to enjoy an independent retirement lifestyle, yet remain safe at all times? 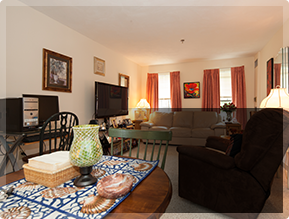 Assisted Living at Wyndemere Woods in Woonsocket, Rhode Island is the answer you’re looking for. We provide loving senior care 24×7 and comfortable senior housing to secure your peace of mind. Your loved ones can enjoy the company of other residents while staying in their own private apartment. A wide range of services and amenities are available on site to make them feel completely at home in their new home. 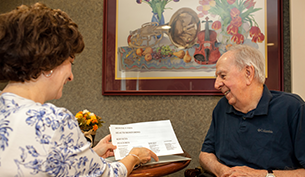 Our independent residents can choose assisted living services as their needs change over time; they don’t need to move to a different community. We are happy to offer them the comfort and convenience of “aging in place”. Take a Virtual Photo Tour to see what we have to offer. 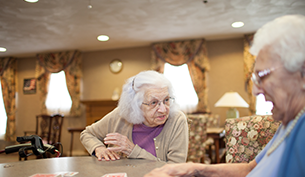 It is not an easy decision to move your parent into a senior living community. “Will mom be treated well?” “Will dad have enjoyable company to keep him from feeling lonely?” “If my uncle loses his balance and falls, will there be someone to help him?” These are probably the myriad questions running through your mind, among others. We know, and we understand what you must be going through. We can’t claim that we will take your place in your aging parent’s life but we can and do promise to treat them and look after them like family. After all, over three generations of our family have been doing this since the past 45 years. Rest assured that we take the utmost care to ensure your loved ones are in good health, secure in their surroundings and comfortable in their assisted or independent living apartment. 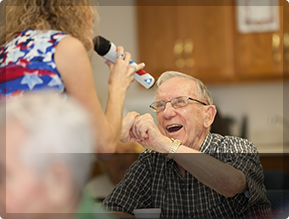 Our friendly, caring staff will assist them with anything they need, enabling your seniors to maintain a life of dignity and enjoy their golden years. Our daily activities and dining encourage social interaction with an ample measure of entertainment and fun. The 24×7 staff team at Wyndemere Woods is trained to handle a range of senior health and safety requirements for residents at our community. 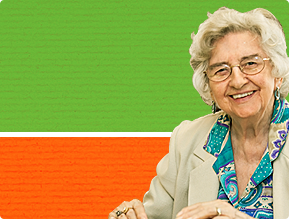 Have questions about Assisted Living at Wyndemere Woods? Visit our FAQ page to find out more or contact us today to request a consultation and book a tour.